For the third consecutive year, Kate Wood, owner of Alchemy Fine Arts, will be among those featured in a prestigious, competitive juried arts show featuring Florida artists of all media. 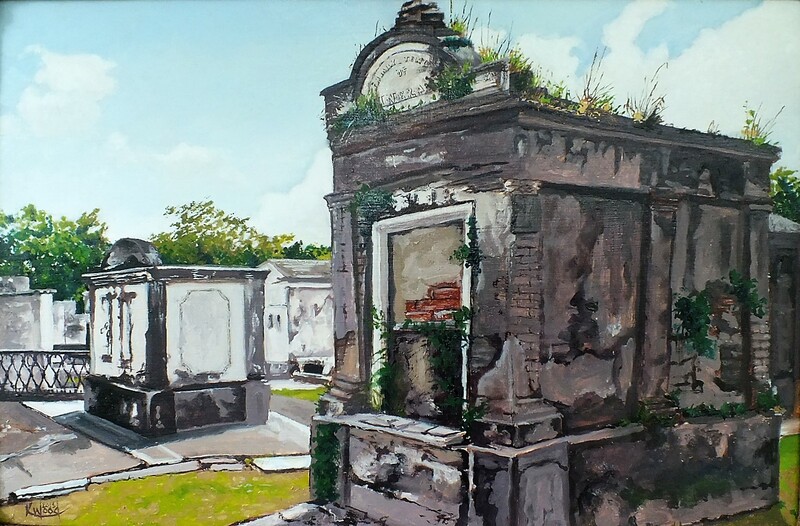 Kate’s oil on canvas painting “Lafayette 1 New Orleans” (see digital version below) made it through the first round of judging and is included in the All Florida Juried Arts Show sponsored by the Martin County Arts Council. The exhibition will be at the Cultural Center Gallery in Stuart, Florida. Opening Reception was Friday, September 21 from 5:30-7pm and the show will run through November 13, 2017. Works included in the show will be offered for sale via the Cultural Center Gallery. The Arts Council has been a leader in the arts community for more than 30 years. By providing services to visual and performing artists, arts organizations, students and the public, the Arts Council strives to instill a passion for and participation in the arts. Tuesday – Friday | 10:00 am – 4:00 pm, or by appointment. Saturday | 11:00 am – 2 pm (except for the summer show and holidays). Admission to the Cultural Center is free, though donations are greatly appreciated. Address: 80 Southeast Ocean Boulevard, Stuart, Florida.